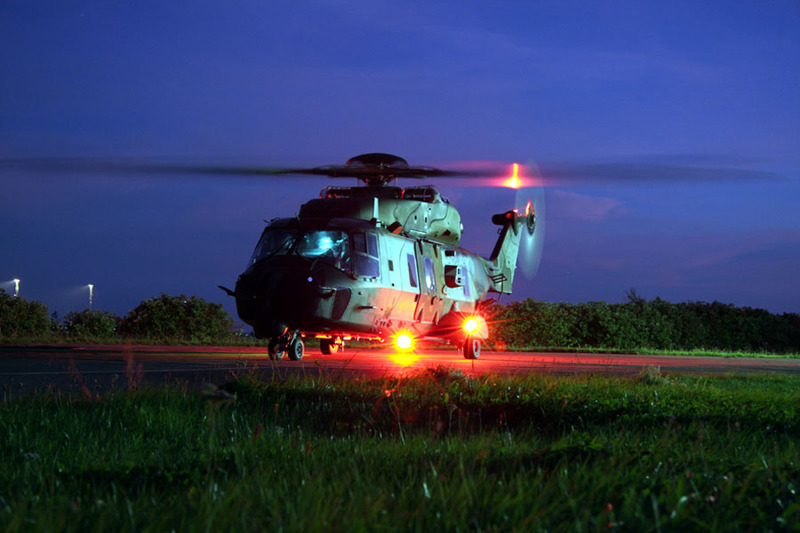 “The NH90 has been designed with maintainability in mind”. Main aircraft systems are continuously monitored during flight. Acquired maintenance data are then processed by the maintenance specialists through several state of the art tools. Monitoring and Diagnostic System (MDS): monitors major helicopter systems, flight hours and component conditions to provide intelligent information to maintenance teams regarding necessary maintenance and schedules. Information is held on a memory plug that is transferred to the GLIMS. Ground Logistic Management Information System (GLIMS): a ruggedised laptop that accepts the MDS information by memory plug, informs the maintenance team about component lives and models trends in conditions. Integrated Electronic Technical Publications (IETP): provides all the information associated with operating and maintaining the helicopter and its systems through a paperless technical publication.